MWF Post Frame models, quantifies and produces drawings for a variety of post-frame structures quickly and easily through user-defined templates and easy-to-manipulate 3D Revit models. MWF Post Frame offers users an economic and environmentally sustainable option compared to alternative framing systems. It is now considered the construction method of choice for commercial, industrial and agricultural buildings. Easily define girt sizes, spacing, post types and end post conditions for automated framing. Users can define virtually any material type for girts, posts and nailers. Users have the ability to add column anchors to vertical members. 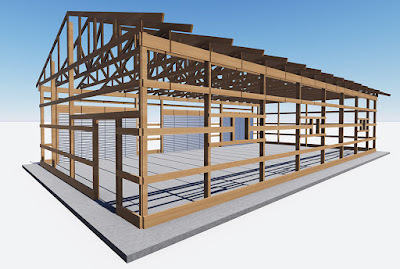 Automatically place trusses and purlins for complete building plans. 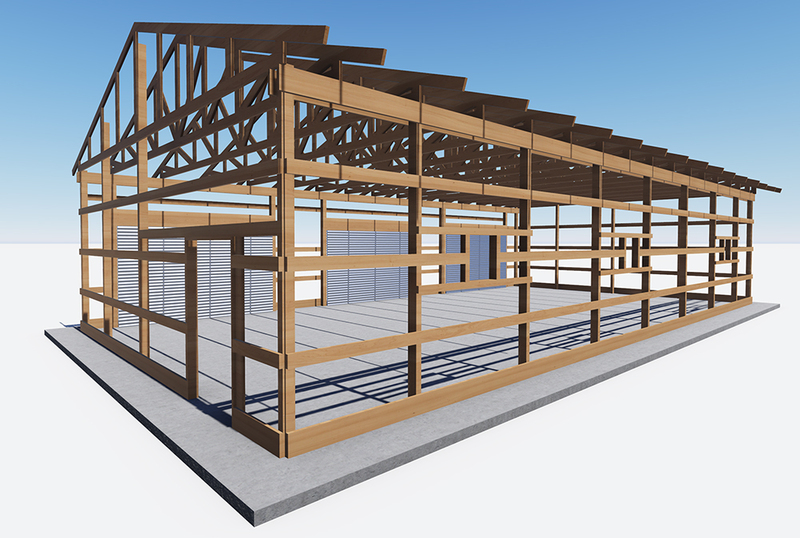 Pull lumber take-offs, elevations, floor plans and other details live from your Revit model. MWF Post Frame is brought to you by StrucSoft Solutions. Pricing was not known at press time.